Included with this stroke update are two new guidelines that address the management of acute ischemic stroke. 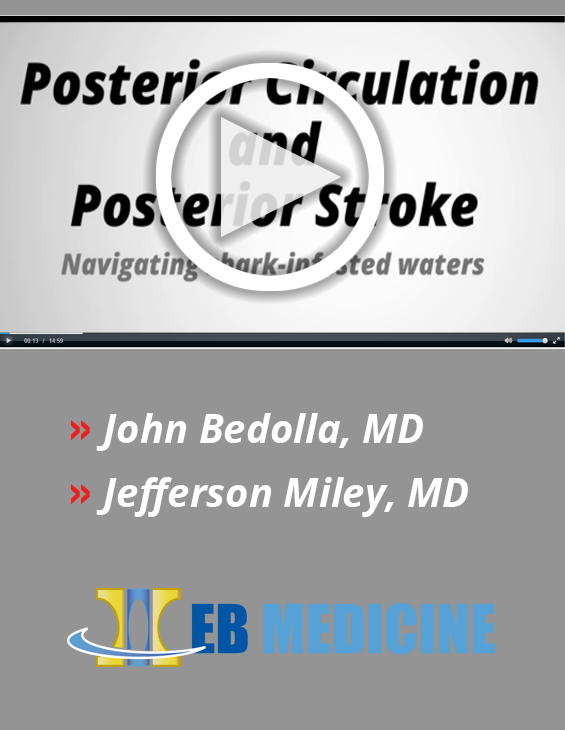 Posterior strokes account for about 20% of strokes, and they are some of the most difficult to diagnose.This video covers a variety of factors that can increase or decrease the chances of a stroke being present.You will learn that the single most important part of the patient encounter is doing a complete neurological examination, including the NIHSS, plus HINTS, plus a test of ambulation. Find out how performing this neurological examination bundle can help you improve outcomes and cut your chances of ending up in peer review or court due to a missed posterior stroke.